In Taylorsville, UT, comfort and convenience intertwine with our sleek farmhouse design. 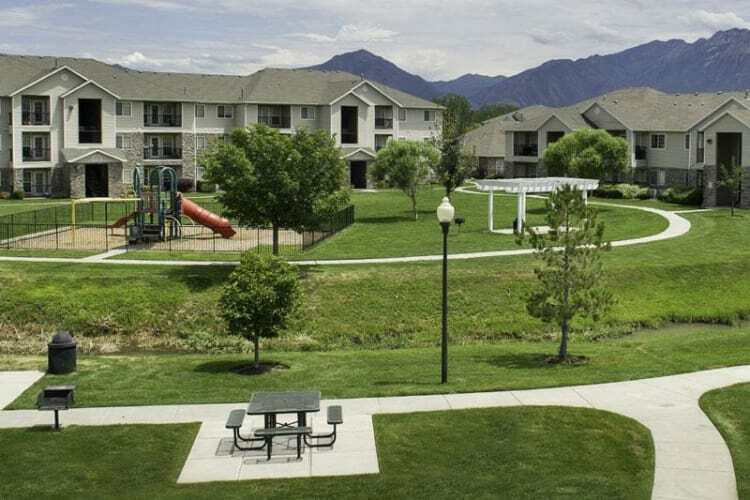 If you choose to call Fairstone at Riverview Apartments your home, you’ll have easy access to I-15, I-215, and the attractions and conveniences of Salt Lake City while still enjoying the peace and quiet our residential community has to offer. You won’t have to venture far to grab dinner supplies at Fresh Market or Smith’s on your way home from work. Enjoy a day of play at The Wairhouse Trampoline Park. Fairstone at Riverview Apartments is the residential community you’ll love to call home. Centrally located in the Salt Lake Valley, our one, two, and three bedroom apartments for rent in Taylorsville are the perfect place to call home. You’ll love the tranquility of our community. If you need to commute to Salt Lake City, no problem. Your new home is only 8 miles away from the city. With access to great employers, exciting recreation, and convenient shopping, you won’t have any trouble finding new things to do in Taylorsville. Contact our friendly leasing team today to set up a personalized tour of our one, two, and three bedroom apartments for rent in Taylorsville, UT.